Yeah. Another giveaway. I've actually been hanging on to these for a while. I got new bookcases recently and shelved all the books I'd been keeping in dumb piles on the floor and on my dining room table and on my nightstand and on my mini fridge and in boxes and on a wicker chair and also in my daughter's bedroom. So anyway, once I shelved them I promptly forgot about them. So, today I went browsing through the shelves and started reading Maureen Johnson's newest book THE NAME OF THE STAR. I should probably mention this is my first Maureen book and also that several pages in I kissed the cover and said, "Where have you been all my life, Maureen?" The story so far (about half way in) is pretty awesome, but mostly it's the voice that's grabbed me. I don't think I've been this in love with just a voice since John Green. And there's the setting, too, which takes me back to London, one of my favorite places on Earth, and in the form of an American who's come to live (reminding me so vividly of my first hilarious days of my life abroad). Yeah. I will likely finish this book tonight (It's currently almost 10 PM). Review to come soon. This giveaway is international and ends Sunday, September 18, midnight EST. You must be 13 years old to enter. If you win, you will need to provide an address for shipment. Under 18's must have parent/guardian permission to enter. 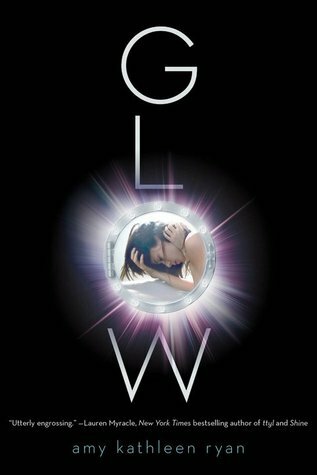 Also, don't forget to enter to win an ARC of GLOW by Kathleen Ryan. Also ends Sunday. THIS SPACE IS RESERVED FOR A REVIEW OF MAUREEN JOHNSON'S THE NAME OF THE STAR. I haven't read anything by Maureen Johnson yet, but I keep seeing reviews for The Name of the Star and it sounds really good. I have been in love with the cover for a while now. I am glad you enjoyed it and I hope to get my hands on it soon! I absolutely adore the Maureen Johnson books I read and would love to enter the giveaway but the form isn't loading for me (tried two different browsers too: Firefox & Safari), anyone else having problems? I've never read any Maureen Johnson books either. Tres intrigued now. Oh, the form isn't working for me...and it's after the update. Thought you might want to know. I'm not going to enter because I have all of those, but I wanted to say, for those of you on the fence, DEVILISH is one of my favorite books ever. 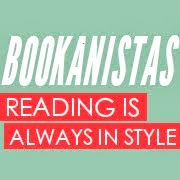 You really, really want to read DEVILISH. You DO. Thanks for the giveaway! Can't wait to read The Name of The Star! I follow Maureen on Twitter, but - hangs head in shame - haven't read one of her books...yet! Thanks so much for the giveaway! You are too good. I'm so excited for The Name of the Star. Thanks so much for the giveaway! I haven't read any of Maureen Johnson's books, but based on her tweets, she's brilliant! Thank you so much for this giveaway! I've been dying to read Name of the Star and I love all of Maureen Johnson's books, so I'm really excited for this! Not my kind of reads, but good luck to those who entered! You are so generous, Carol! Have a fabulous weekend, girl! Thanks so much! I loved 13 Little Blue Envelopes, these all looks so different. Book 1: read the summary and sounds awesome. Book 3: Never heard of it but it looks good and the cover is awesome. Book 2: the cover is just creepy. Forgot to add up my points. i think only 4. I have been so looking forward to Name of the Star; I haven't read any Maureen yet but that seems like the perfect place to start, given that my friends and I once had a Ripper Club to try and figure out the whodunit. Thanks! Thank you so much for this international giveaway!!! Thanks for doing this awesome giveaway! Im looking forward to read Devilish or In the name of the star, both look amazing! yay! I've read MJ books, but not these three! thanks for the chance to win these books! I am so excited about this book! Thank you so much for sharing! I haven't read any of the books but The Name of The Star looks very interesting. Would love to own a copy of that book. Since I love your voice, I have a healthy respect for any voice that you love. I'm in! Ooh, thanks for the fantastic giveaway! :) All three books look awesome. Wow, thanks for an awesome giveaway! Maureen's upcoming book looks amazing! I haven't read any of Maureen's books. The Name of the Star looks fantastic! I have one Maureen Johnson book in my TBR pile, and I haven't read it. I can't believe I haven't read her yet. I loved The Bermudez Triangle but haven't read any of her other books, so this giveaway excites me! I haven't read anything by Maureen yet butI keep hearing great things about them and I love the cover to The Name of the Star! Thanks for the givaway, the book sounds very interesting. Thank you for introducing me to Maureen Johnson. I have never read her before. I also love John Green's voice. Do you follow Maureen on twitter? She's HYSTERICAL! Sadly, I haven't read an MJ book yet. Obviously, this must be fixed! I have yet to read a Maureen Johnson book. I know, so sad. I'm entering! Thanks for the giveaway! I really want to read Maureen's books. Crossing my fingers now. Hope to win. Thanks so much Carol for this awesome giveaway!